Developer website: Tim And Gerry Inc.
Is there a better alternative to TagNotate? 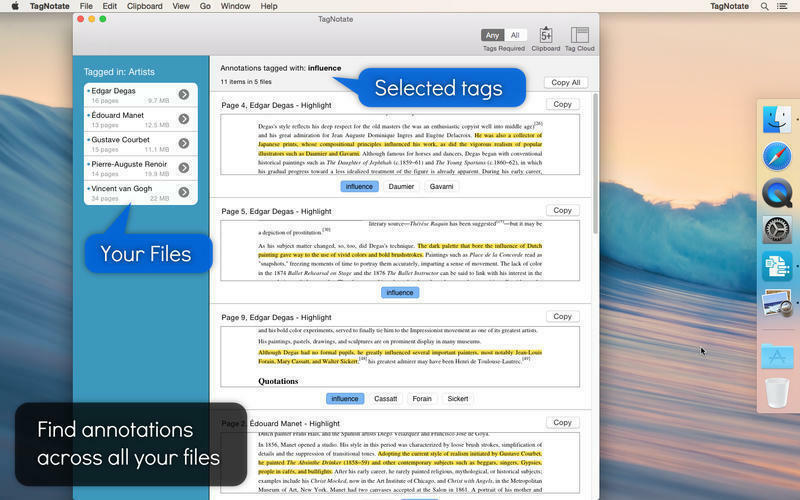 Is TagNotate really the best app in Word Processing category? Will TagNotate work good on macOS 10.13.4? 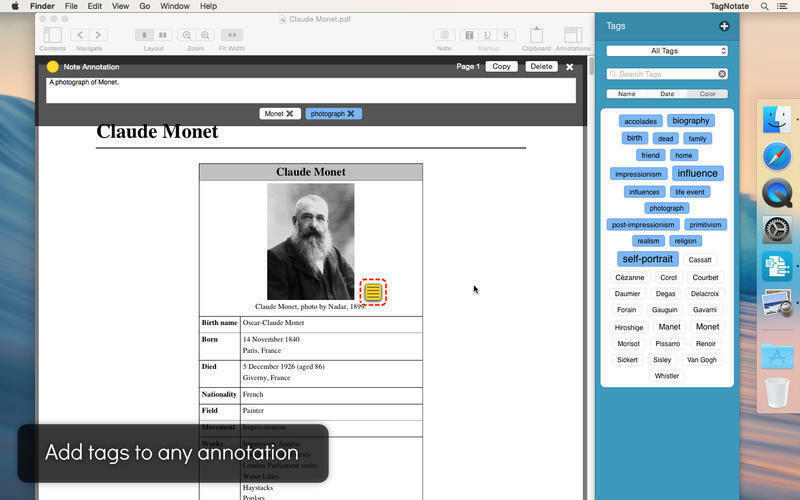 TagNotate is a PDF viewer and annotator with the unique ability to assign tags to annotations - you can create as many different tags as you want, allowing you to associate with each annotation whatever kinds of information are important for you. 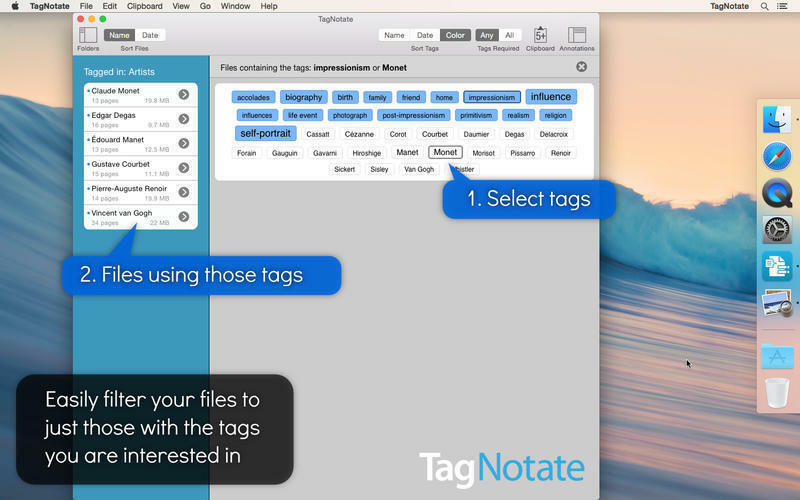 By selecting one or more tags, you can collect together all the annotations that share those tags (across a single document or across multiple documents), and you can even use tags to select which files are shown in the file browser, or to select the annotations that you want to export to other apps or to email. Fix issues related to macOS 10.13 (High Sierra). 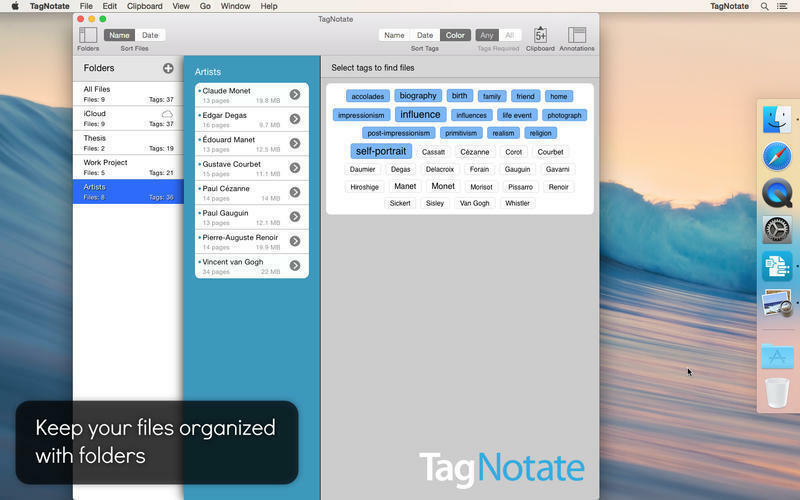 TagNotate needs a review. Be the first to review this app and get the discussion started! TagNotate needs a rating. Be the first to rate this app and get the discussion started! Need to keep track of which documents mention different kinds of things? 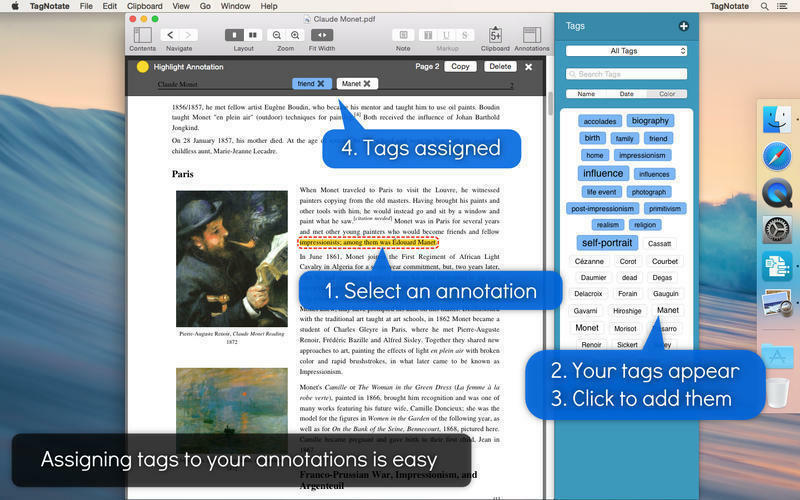 Highlight the relevant bits in each document, tag those highlights, and see the tags listed in your tag cloud; you can then tap on an individual tag, or on more than one tag, to retrieve those highlights from each source document. By highlighting and tagging information that matters to you, you can easily go back to this information later by selecting the appropriate tags. The more you tag the highlights, notes, and other annotations in your documents, the more information is instantly available, personalized for you. Selecting one or more tags initiates a near-instantaneous cross-document search that lets you collate important information. Single or multi-document overviews, based on the tags you have selected, let you easily extract what you need and copy it to the clipboard or an email for sharing with others. See case studies at www.tagnotate.com.